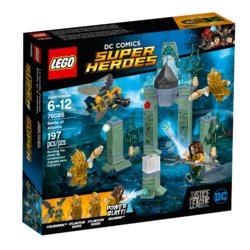 76085 Battle of Atlantis is a DC Comics Super Heroes set released on August 1, 2017. This is a description taken from LEGO.com. Please do not modify it. (visit this item's product page) Protect the precious Mother Box from the evil Parademon™! 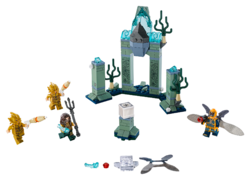 Facts about "76085 Battle of Atlantis"